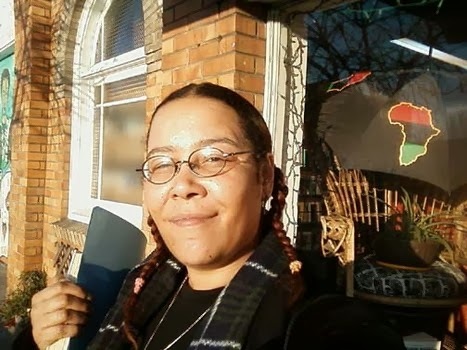 From Sumiko's Facebook page: Sumiko Saulson is a science fiction and horror novelist, multiply published poet, and author of Solitude, Warmth and The Moon Cried Blood. A California native and Oakland resident, a frequent contributor to San Francisco Bay Area community and local publications over the years. She had been profiled in a San Francisco Chronicle article about up-and-coming poets in the beatnik tradition. 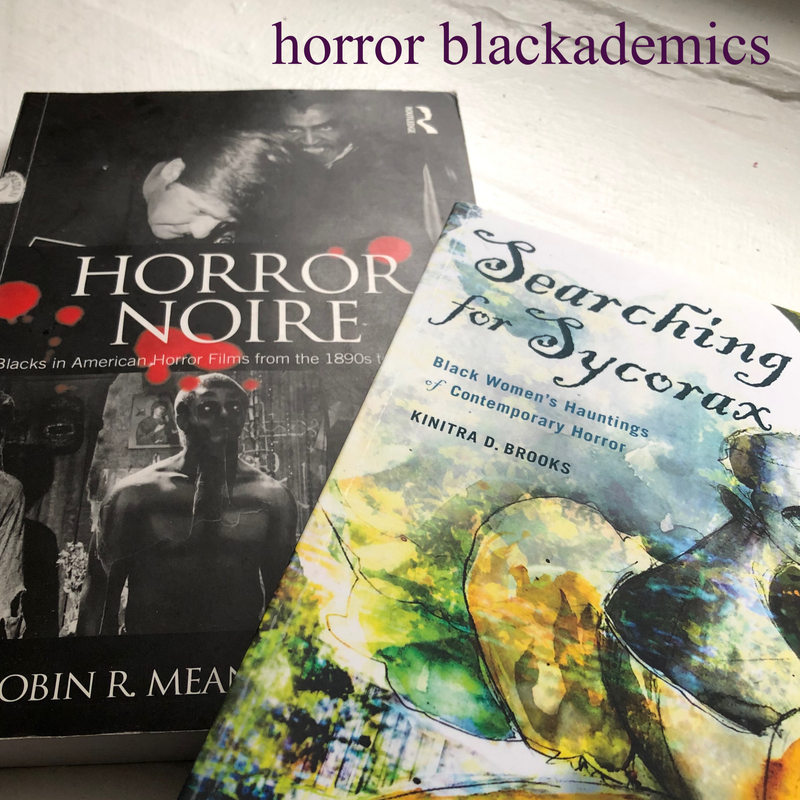 In addition, I am happy to add that Sumiko is a strong advocate for Black women and women of color speculative fiction writers and has taken active steps to celebrate these women during Women in Horror Month and year round. She is the first to tackle our 5 Questions series! Everyone’s story is unique. Tell us how you became enthralled with horror as a genre. Growing up, both of my parents were tremendous horror buffs. Rosemary’s Baby came out when I was in the womb and my dad took my mom to see it, so you could say I was going to horror films before I was born. I was also an advanced reader, reading at the eighth grade level by the fourth grade and the senior level by the seventh grade. As a result, I began reading adult horror novels that my parents left around the house when I was about ten years old. The first horror novel I read was Ghost Story by Peter Straub when I was in the fifth grade. I also started reading short science fiction stories around that time, as my father had a subscription to Isaac Asimov’s Science Fiction. I like to say that horror is often less terrifying that science fiction. Many of the short stories I read in that periodical later showed up as stories in the serialized horror story television shows of the 1980s such as the reports of Twilight Zone and The Outer Limits. When I was eleven, my uncle Jimmy loaned me his collection of classic horror comic from the fifties and sixties, such as The Witching Hour, and Tales from the Crypt. These comics were my first introduction to many horror writers of the 1800s like Ambrose Bierce and Edgar Allen Poe, whose stories were illustrated in their pages. By seventh grade, I was an avid fan of Edgar Allen Poe and H.P. Lovecraft, reading them in the library at school during lunch. A young adult title, a series called The Dark is Rising by Susan Cooper, also had a tremendous impact on me as a young horror fan. By ninth grade, I was a full-fledged fan of the adult horror novel, reading Stephen King, Anne Rice, Clive Barker, and Dean Koontz. What inspired you to become a horror writer? When I was a kid in the third or fourth grade, a gopher snake got loose on the kindergarten playground, and I ran over and grabbed it by the neck and caught it, explaining that it wasn’t poisonous and showing everyone that it had no fangs. I was a lonely, unpopular kid before that, but subsequently, I developed my first group of tiny horror fans. Those kids used to come around at lunch and have me regale them with a series of made up campfire type horror stories about some creatures called the smelletons, who were something halfway between zombies and skeletons. They were called smelletons because they still had some rotting meat, which smelled, on their skeletal bones. Years later, when I saw Army of Darkness, I decided the smelletons probably looked like Deadites, more or less. Afterwards, I went about my life, growing up and doing other things. I did write, mind you: I wrote poetry, and I was a journalistic and editorial writer for some small, local press. I did not write horror. I tried, like many journalists do, to write a novel. It was science fiction and I never finished it. Then, in 2011, something happened that changed everything. My mom was diagnosed with multiple myeloma, a bone cancer, in 2009, and in the summer of 2011, my father was diagnosed with lung cancer. The concern, the worry, the anticipatory grief over my parents both having cancer sent me into a frenzy of activity as I felt I had to finish my first novel while they were still here to read it. Horror is the most natural thing for me to write, not just because I am a fan, but because I have bipolar disorder and post traumatic stress disorder and the traumatic experiences of my life, both the real ones, and the flashbacks, and hallucinations, are the stuff of nightmares. When I was younger, I wanted to be a serious writer, a writer of science-fiction, perhaps, like Octavia Butler, or a literary writer like Toni Morrison, or Alice Walker. The thing is: I’m not. I am a horror writer through and through. I have the soul of a horror writer. I just can’t help it. Until I could accept who I am, I couldn’t complete a novel. Once I told myself it was okay to write horror, I poured out three novels and a book of short stories in a two year period. My father passed away in January 2013, and I’m having trouble writing since, but I haven’t given up. 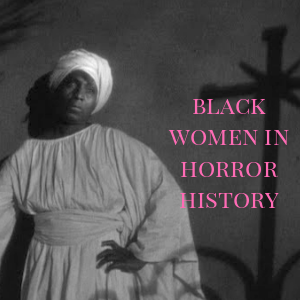 What challenges and triumphs have you experienced as a Black woman in the horror industry? 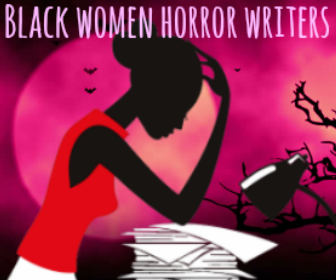 There are two types of challenges I’ve experienced as a black woman in the horror industry: the challenges from outside the black community and the challenges from within. Inside the black community, the idea that black people can or should write horror is still a pretty foreign one, although thanks to writers like Tananarive Due, and L.A. Banks, and Octavia Butler community people are cool with the notion of black authors in the umbrella speculative fiction wheelhouse. My mother helps me with promotions, and when she speaks to black bookstores and black libraries, she usually focuses on the science-fiction aspects of my work because it gives people a frame of reference: most community people have heard of Octavia Butler. 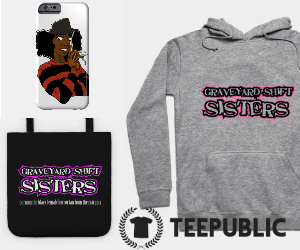 The biggest triumph is connecting with fans, who often feel just as I did when I first started to write horror: that is, sick and tired of all of the black people dying in mainstream horror novels. 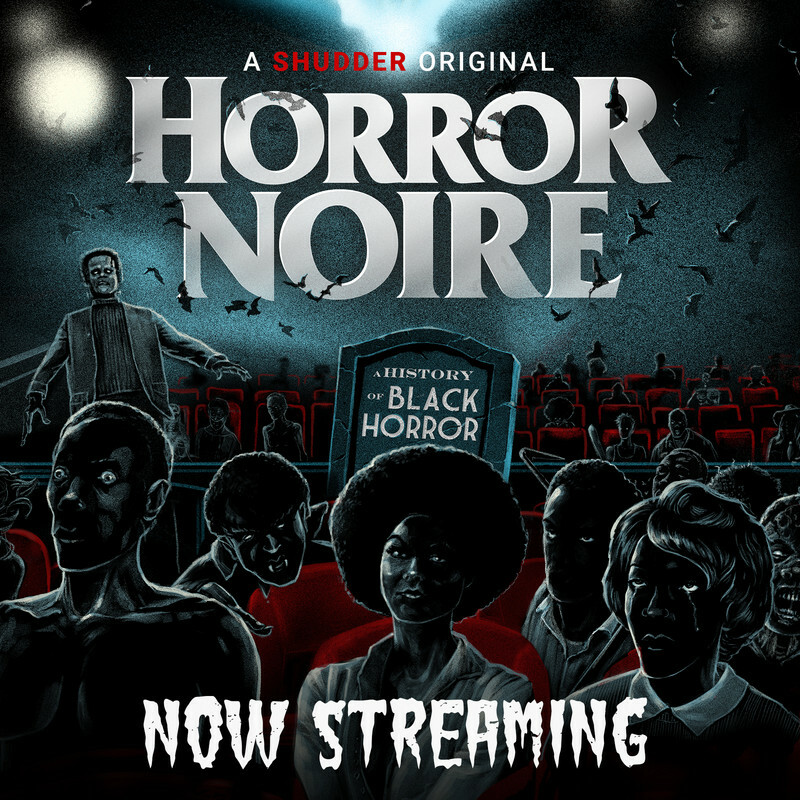 For a long time, there just weren’t any black people, but in the seventies and eighties, there were black characters in mainstream horror who were always all dead by the end of the story. “The Stand” by Stephen King was the most glaring example of that: when there is an apocalyptic event and most of the planet are dead, but the survivors are able to start anew in a new Eden, it’s a very frightening subtext when you figure out that the new Eden is occupied entirely by white people. I absolutely was tickled to learn that I am not the only one who noticed that, felt that way, or wanted to make sure that it changed. The challenges outside of the community are different. I receive a lot of support from other women of all races, but my readers do seem to be mostly women. If you look at my reader reviews on Amazon, you will notice that about 15% of them are by men: that seems to reflect the sales numbers. The vast majority of people who read my stories are women, and I really don’t know why. Another challenge, although an amusing one for me, is the people who just hate the horror genre and shut down the minute they hear the label. Since a lot of my fans are women, when they post praises of my work there is almost always a response by some other women who talk about how they don’t like horror and can’t read my books as if someone just asked them to go for a casual stroll through a recently used cat litter box. That cracks me up. I’m not into forcing people who hate horror to read it, why would I be? If you can’t stand horror, don’t read the book. Please spare me the lecture about why horror is too low brow and plebian for your bougie tastes, I just don’t want to hear it. 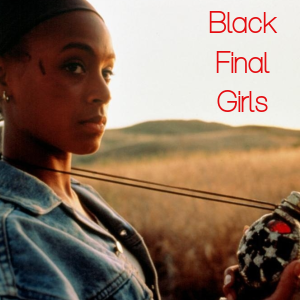 What are your aspirations for yourself and other Black women filmmakers in the horror industry? Well… I’m a horror writer, although I do have some video making experience. 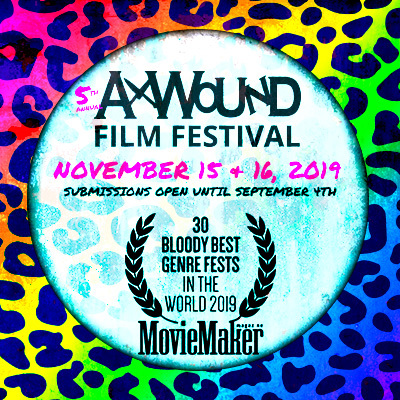 I would say that my aspiration for other Black women who are filmmakers in the horror industry is to see them making movies from an original screenplay based on my novels, and if that novel happens to be Warmth, then hopefully this will include the actress Danai Gurira from The Walking Dead starring in the role of Sera. In all seriousness, I would like to see black women better represented as authors, as filmmakers, and in every aspect of the genre. When I go to a science-fiction or a horror convention, I want to see a lot more people of color in the audiences and on the panels than what I am seeing right now. I know from experience, just walking down the street and being myself, that there are a lot of young black women among the fandom, but while I see them hanging around the comic book stores or Gamestop or checking out horror movies, I just don’t see them at the cons, and a guess a lot of people assume that means they aren’t there. Well, they really are there, especially in a diverse city like the one I live in here in Oakland. I want to see a world where women writers do not have to use masculine-sounding pen names to get published and black writers don’t have to use Anglicized ones. There are elements of horror and science fiction. I am also re-editing my third book, “The Moon Cried Blood” and splitting it into two, new, re-edited titles which will have more action and less exposition, based upon reader feedback. Make certain to visit Sumiko's website!